Hills come in many shapes and sizes…and so do paths. 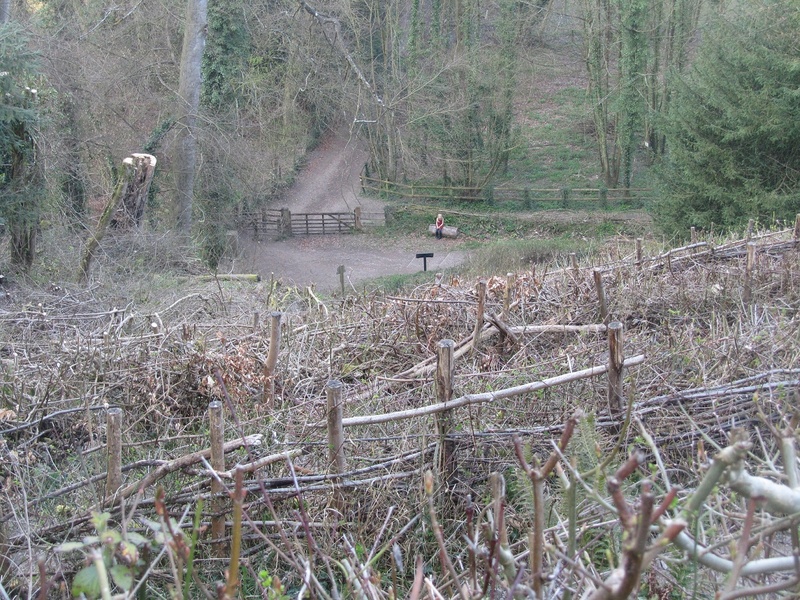 While many paths to a summit pick the easiest course for the walker or climber a recent visit to Selbourne in East Hampshire offered a more direct route to the top. The zig-zag path up a 300 foot escarpment connect the village of Selbourne to an ancient wooded common that shares the village’s name. Selbourne Common – and the path leading up to it – are now owned and managed by the National Trust, and is a Site of Special Scientific Interest and an area of Outstanding Natural Beauty. 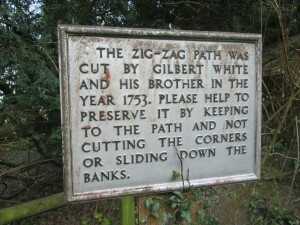 The path was cut by Gilbert White and his brother John in 1753. 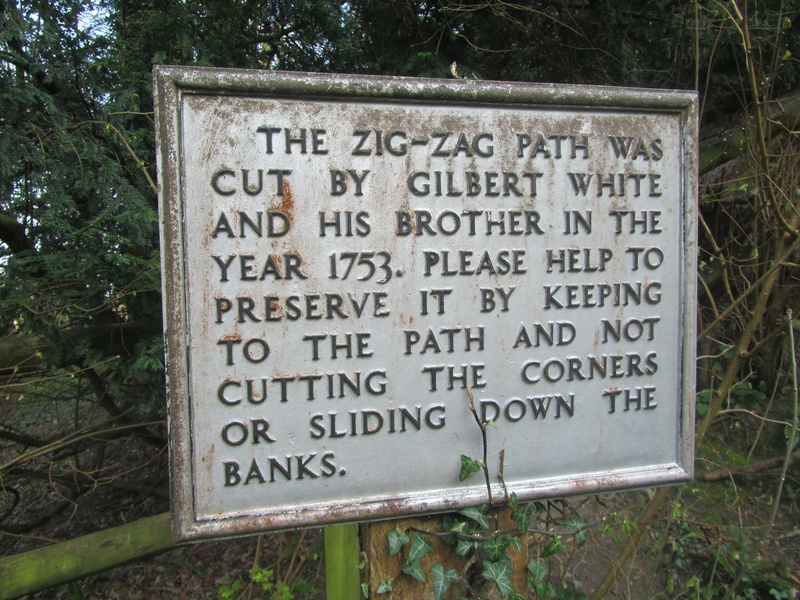 Gilbert was curate of the village and spent his life observing and documenting the local natural world. He is remembered as the first ecologist and environmentalist who dedicated his life to the understanding of the natural world. His book The natural history of Selbourne was published in 1789 and remains in print today. 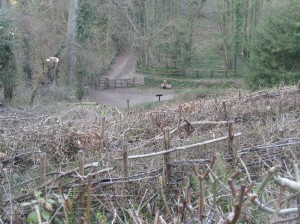 The zig-zag path follows a direct line from the village and is cut into the chalk escarpment. There’s an unrelenting symmetry to the path that doesn’t deviate or compromise as it ascends directly from its base, to the top. Climbing the path makes you wonder how Gilbert and his brother found the time to construct such a route. The will power, endeavour and ingenuity of the venture reminds you of the Romans or Victorians..rather than the naturalists and ecologists who – you would assume – would follow a simpler or meandering route which was more in line and in tune with the natural surroundings. Climbing the path doesn’t take long…it’s really not that high…after twenty or so tics and tacs across the face of the hill you reach the summit. It does, though, require a bit of puff. When you reach the top your breath is heavy and your legs ache. 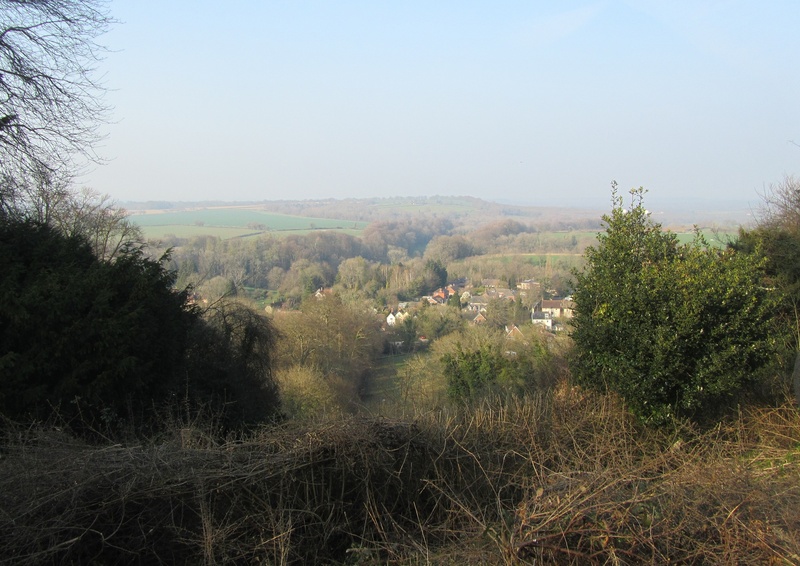 You are, though, rewarded with a tremendous view back down over the village of Selbourne, and to The Wakes, Gilbert White’s house, which is today dedicated to his life and work. ← My Winter Mountain Leader assessment: a week to remember.